ATN is a leading manufacturer and developer of precision Night Vision optics and Thermal Imaging. In two decades they have built out a company focused on quality, innovation, and providing value to their customers. They are the manufacture with the largest selection of low light optical devices and cater to consumers, law enforcement and military clients. The ATN PS15 is a compact, lightweight dual Night Vision Goggle System. It utilizes two high-performance Image Intensifier Tubes to provide extremely clear and crisp images under the darkest conditions. This dual tube design provides increased depth perception and outstanding clarity. A built-in IR lets the user easily read a map and function in a total darkness environment. 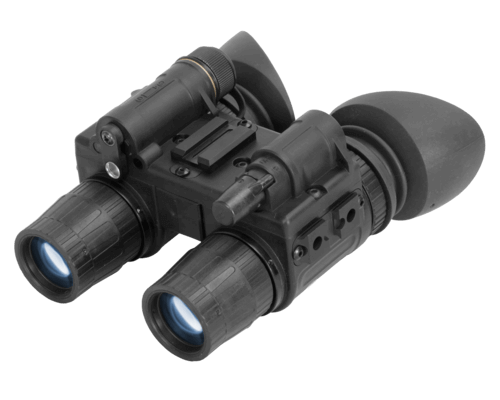 Available in a wide array of Image Intensifier Tube configurations the ATN PS15 Night Vision Goggles is designed to handle every budget and mission requirement. The ATN PS15 Night Vision System is the high-performance choice! NO Returns or Exchanges will be accepted on this item by Airsoft GI.